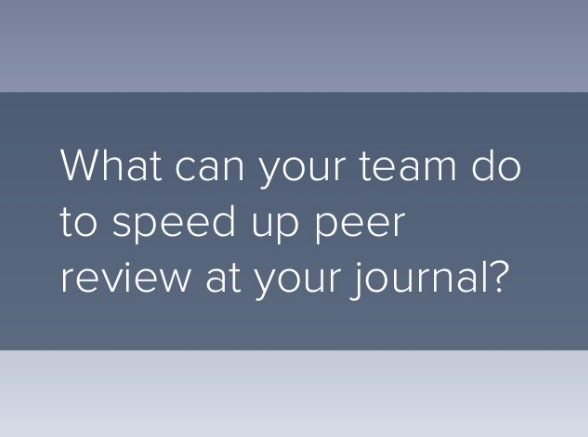 If you want to speed up peer review at your journal, reassessing your team’s current process is the place to start. In the slideshow below, “6 Steps to Speed Up Your Journal’s Peer Review Process,” we compile helpful advice from the editors who contributed to Academic Journal Management Best Practices: Tales from the Trenches, a new free editor guide from Scholastica. Is your journal following these 6 steps? Let us know how you’re refining your peer review process on Twitter by tweeting at @Scholasticahq! Could the noteworthy actions of Lingua's editors spark a revolution of journals declaring independence from corporate publishers? Along with new features, we've made changes to better orient and explain Scholastica to all scholars and journal editors. So, what are the new altmetrics standards that NISO is working on? And what does this mean for academic journals? Here's what you need to know. Matthias Weber, assistant professor at the School of Finance at the University of St. Gallen, discusses why he believes the convention of alphabetical author lists should be abandoned.